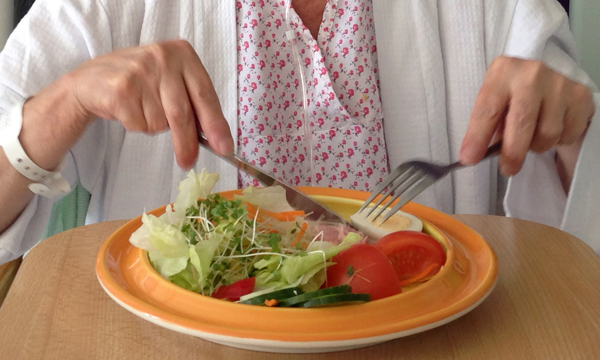 A nurse-led scheme to make it easier for patients with dementia to eat has been so successful that it has been extended to three hospitals at one NHS trust. University Hospitals of Morecambe Bay NHS Foundation Trust made the move after a pilot showed patients ate 10% more when they used the specially designed crockery. The crockery, which is orange and yellow and has high sides, is intended for people with dementia including those with vision problems and limited dexterity. The crockery was developed in association with NHS Supply Chain and the Hospital Caterers Association and it was paid for with a donation of £16,083 from the Royal Voluntary Service.